ROY&BIV is an eye-catching store for people who are obsessed with color and are after unique finds. The store offerings are divided into eight groups of colors - red, orange, yellow, green, aqua, blue, purple, and fuchsia - which are housed in eight main display areas within the store. :) So, if you are in the lookout for a particular color, you no longer have to stress cos it's perfectly arranged! The store's mantra is "We Love Hue! "♥ cos a lot of people have a love for color and all of us identify with a particular color. I myself lean towards pastel colors more or purple and aqua! One of my favorite parts of the store is the little fun facts on each color wall. :) Felt a little envious of Elizabeth Taylor! >_< I've always wanted violet eyes or hair for that matter! Lahat na! I actually Googled "Elizabeth Taylor eyes" cos of this sign! Haha! 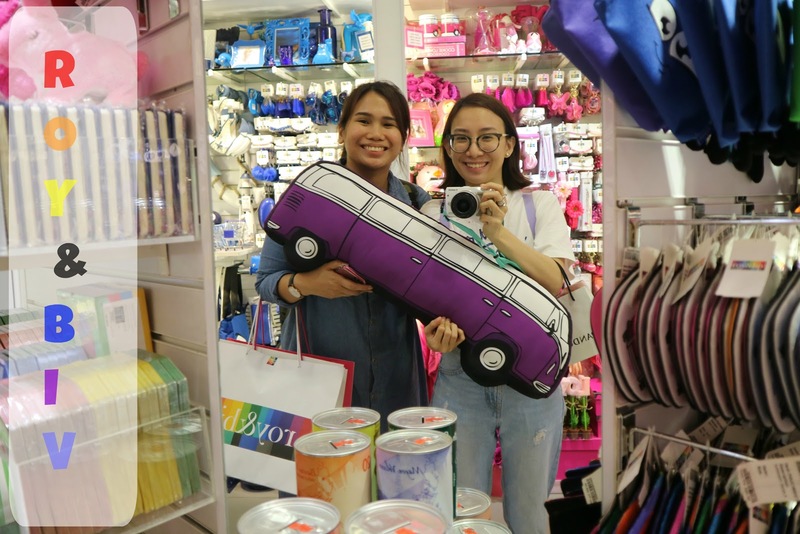 The predominantly white interiors save as a blank canvas for the colorful merchandise which is a happy mix of gifts, housewares, fashion accessories, clothes, and iconic items associated with each color. Most of the items at the store come from 60 or more sources from around the world, many of which are exclusively made for ROY&BIV. A visit to ROY&BIV is the visual equivalent of having a sprinkle-laden cupcake or the currently trending Unicorn Frap minus the calories. Color therapy or retail therapy? How about both! 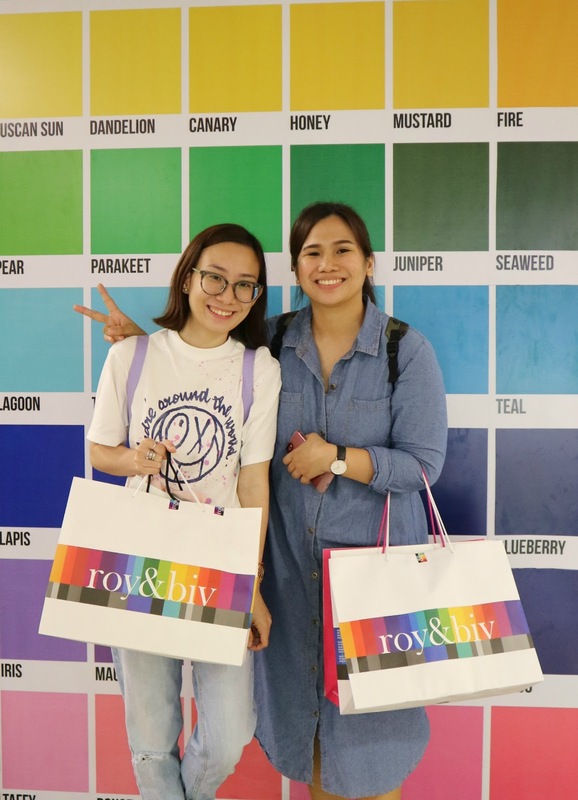 Absolutely enjoyed shopping at ROY&BIV with Beb Ana! ^_^ A true color feast!